My favorite reality TV show of all time is The Biggest Loser. I felt that many of the messages about how to become healthy made sense. The show featured grilling instead of deep-frying, whole foods instead of processed, exercising instead of watching TV, and a whole bunch of helpful tips for eating out. Also, I felt inspired by these people’s personal and weight loss struggles. If they could do it, so could I! Plenty of the show didn’t make sense – for example, being tossed off the show because you didn’t lose enough weight. Why not have everyone stay and work it out together? Also, drama, drama, drama…..drama. Did you ever wonder what happened to the contestants years later? I am sure we all hoped that they would continue to be lighter and move on to new challenges. Obviously, after such a shining and public success – none of these people would regain the weight, right? 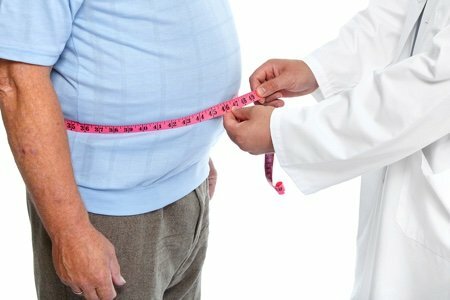 So, after Season 8 of The Biggest Loser, a federal research center scientist (National Institute of Health) decided to use our tax money to follow willing Season 8 contestants for 6 years and record what happened after they had lost large amounts of weight on the show. His findings are quite shocking to me. Their resting metabolism (the amount of calories you burn at rest) was very low after the initial weight loss and then went lower over time. Mr. Cahill was one of the worst off. As he regained more than 100 pounds, his metabolism slowed so much that, just to maintain his current weight of 295 pounds, he now has to eat 800 calories a day less than a typical man his size. Anything more turns to fat. Danny Cahill, the winner of season 8, has regained 100 pounds and has not recovered a “normal” metabolism for his size. He shouldn’t feel bad because thirteen of the fourteen contestants from the Season 8 of The Biggest Loser (who agreed to be part of the study) have gained back significant amounts of weight since then. The study, while it has only a few participants, was so compelling it will published in the journal Obesity. What happened? Oh my. Talk about depressing. The basic biological reality is that your body wants you to remain obese – no matter what you do. Whoooa. Deep breath. Trying to find the silver lining here and having trouble. The article didn’t go on to give a solution to the problem of decreased metabolism so it is difficult for me to turn this into a positive except to say that if you gained all the weight back from a diet – it wasn’t a lack of will power around donuts. Perhaps the shame associated with being overweight will be mitigated by our understanding of how our biology works. It seems that some people’s bodies (such as these show contestants) are pre-programmed to become fat – they aren’t doing anything wrong nor should they be publicly humiliated for their body type. My conclusion is that it is far harder to figure out weight maintenance than weight loss. Ask any yo-yo dieter and they will tell you- they lost the weight! (and then they gained it back and sometimes more than they lost). When you hear that “diets” don’t work – I believe this is a fantastic example of what is going on. Perhaps it is easier to slowly lose weight through eating healthier (and less) without a MASSIVE DROP IN CALORIES so your body doesn’t decide to slow down to a halt to get you to gain it back. Clearly, medical science has a long way to go to help the chronically obese. Society also has a long way to go to accept people of different sizes. Weight Watchers Smart Points: Is it Working for You? Thanks for all you do to provide this information. This is such an interesting topic, depressing too. I have recently started to listen to 2 podcasts regarding health and nutrition that might be of interest. Check out Paige Smathers(Nutrition Matters) and Julie Duffy Dillon(Love, Food). These ladies are both registered dieticians who have some pretty forward thinking ideas about eating and nutrition. I agree...it's very hard to maintain a significant weight loss! It took me 6 years to lose 60 pounds and now 4 years later I've gained 20 of it back. I attribute the gain to increased age, less vigorous exercise on a daily basis - I just can't seem to keep up with that routine over the long term! and making poor choices too frequently (I'm talking about deciding on the French fries rather than the side of steamed broccoli when eating out too many times; and yes, I'll have dessert this time...and I'll deal with it later...however later hasn't arrived yet...so it's a daily battle...more exercise + less fattening food choices will equal weight loss..but in order to maintain you have to increase your exercise level...and possibly reduce the amount of calories you can eat...your body is smaller now...less to carry around...less to move...you just don't need to consume as many calories as you did...think about it...tough! Lisa, nicely put!! I've struggled with weight all my adult life, did Jenny Craig, Weight Watchers and a number of "Fad" diets, remember the cabbage diet? It's hard to be what society deems acceptable weight wise, and it gets even harder the older you get. Society has made things much too easy: Easy fast food, easy Coffee pickup in the morning you don't even have to get out of your vehicle. As long as you are healthy, and I mean, no diabetes, no joint issues, no heart problems...what is wrong with a few extra pounds. My niece got very sick competing in a women's body building competition, although she is beautiful normally, I was alarmed at what she got her body to look like. The pressures are way too much, it needs to decrease!! What we need to do and what we want to hear is two different things. Slowly losing weight will always be the right way but because we live in a microwave society where everything is now, this is not going to happen. We never gained the weight fast so it is not logical to lose it fast. I started back Jan. 1 to get myself on track with a good eating plan, not a diet but just learning to eat right and I am 15 pounds lighter today. Is that a lot, maybe not but it is a start. I feel better, I am feeling bloated all the time and I eat when I am hungry, not when the clock says it's time to eat. If you look at all the books and articles that have been published on this subject, then you know how twisted our thinking is. Accomplishing a task quickly is always going to win out but we all know in the long run, it is not going to stick. Whoops ... see you hyperlinked the NYT article - not enough coffee yet this morning! Great resource. Are there any studies about dropping weight slowly and metabolic rate change? Because I'm wondering what everyone else is wondering: is it because the BL contestants drop the weight so drastically? I can't help but think the extreme nature of the weight loss is what screws up their metabolism. I have been reading about this the past couple of days. Makes sense to me. I lost 65lbs 13 years ago with Weight Watchers. Have managed to keep it off but it is tough. Seems like I am quick to gain if I go off track in the slightest ways: whether it is with exercising or eating. My weight will pop a few pounds quick! I would like to lose 10 more pounds and I have but I can't seem to maintain that 10 lbs I always regain it. So I feel like a yo yo myself. Even though I am at a healthy weight (higher end of scale for my height). Thank you snack girl for keeping us updated with the latest science. 2. If I'm trying my best I won't weigh myself daily and let the scale determine my outlook or how I view myself for the day. Its a number dammit and I am more than numbers on a scale. That said occasionally weighing may help guide my food choices if I'm straying. 3. Maintain some consistent form of exercise that is possible to do and enjoy for a lifetime ( for me it will probably be daily walks) to keep the metabolism fire stoked. 4. Watch portion sizes and frequency of foods that aren't really healthy but don't eliminate them completely if I enjoy them. I have come to terms with the fact I have a food/sugar addiction. Eating cake and ice cream hit my dopamine centers in the brain and act as a happy drug for me. I have always thought this to be true and had it verified for me this past week at a seminar on drug addiction counseling. It is a physical addiction and unlike a drug that can be avoided, food cannot and so it must be managed - for a lifetime - daunting! I do know that sugar is a trigger for me and awareness is a first step. Losing the 100+lbs was easier than the daily struggle to maintain but how I feel in a body that moves and extends my life so I may see my kids and grandkids grow and gives me a better overall quality of life makes it worth it! I definitely think that anyone who loses weight quickly will probably gain it back. I have lost 83 pounds over almost 3 years. Still losing but usually 1-2 pounds a month. That may be a good thing for me! Obviously we don't know the answer to this one but I do have somewhat of a sense of what works for me. I've never thought that losing a huge amount of weight in a short time was good for the body. I've maintained a significant weight loss for over 10 years but I still struggle with the last 15 pounds I want to lose. The only thing that's worked for me so far is totally changing the way I eat and the way I view food and to see it as a forever change. I still don't know if it'll work but it's the best I've got. I wonder how many gained their weight back because they are emotional eaters. Or did they expect their lives to change greatly? Sometimes the issue is more mental than anything else. I just want to add. I was down to 1200 cal/day and I'm a runner, and I couldn't lose more. I went to a pretty famous sports nutritionist and she has been working with me. Basically we've been increasing my calories slowly. You know what...I didn't gain! I've really only increased it a bit to 14-1600/day but it's great to be able to eat a little more normally. I think I need two types of calorie days. One for the days I expend a lot of calories through exercise and one for my 10hr work days when I barely get a mile of steps in. When I can maintain 10,000 steps or 5mi daily, I can eat more normally. If you tend to be very sedentary I think it's a big factor in what you can/should consume. So frustrating. I was pre-diabetic and lost 40 pounds gradually, and was able to get off the metformin, but have now put 10 pounds back on and am having trouble getting it back off. I exercise every day in addition to trying to eat healthy and watch what I eat - but every single day is a struggle. If indeed our bodies resist permanent change, is there any hope? I sincerely hope they follow up with studies on people that lose the weight slowly. It sounds like intermittent fasting might really be the thing that works in the same way that hiit works for exercise. I seem to remember reading an NIH study, I'll try to find it later to link. If I remember correctly, it goes along with the theory that the body tries to retain homeostasis. In other words, whatever you weigh, your body does its best to keep you there. If you suddenly reduce your caloric intake, your body assumes there's a famine and adjusts metabolism accordingly. Their recommendation was to lose a small percentage of your starting weight, and then maintain that weight for a period of time, six months I think. That would give your body time to reset is homeostasis point and that weight become your new normal. Then, you can try to lose another small percentage, maintain, reset. Repeat until goal weight reached. Not good news for those that want quick weight loss, but does explain why quick doesn't work. The body does like to keep things the same.